This is a French dessert that is thought to be fancy. You can make it at home and enjoy. Don’t be intimidated by this, it is just custard that has a vanilla flavor. The custard is baked and topped with sugar that is caramelized. The caramel makes the dessert more special and delightful. The spoon will crack through the crispness of the caramel before reaching the custard that is underneath. The flavor and the texture are memorable. It is thickened with cream and egg yolks. You can broil or torch the topped sugar. This helps to form a hard crust. You can use heavy and light creams. The structure of the custard depends on the egg protein. The heat should be kept gentle through the process of cooking. The egg protein will be very rigid when the heat is intense. This will make the egg to be firm. They should be heated gently and slowly. It has a soft-set texture. The texture is similar to that of Greek yogurt. It is not as firm as the crème caramel. 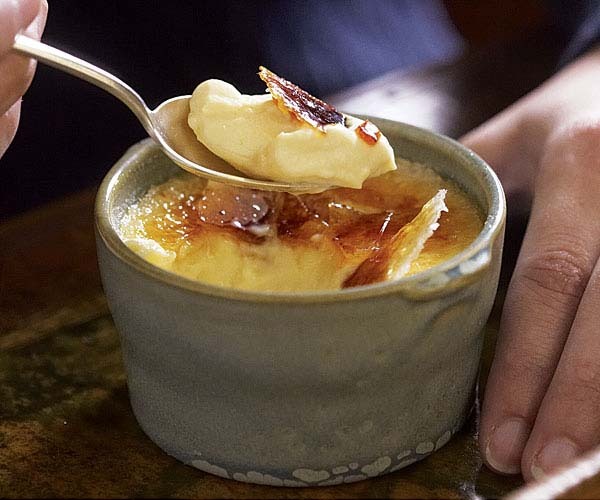 The taste of the crème brulee will depend on the flavor used. The basic ingredient is vanilla custard and it tastes like so. The burnt flavor is sweet and bitter. The crisp and crack can go well with the custard that is creamy and soft. It is also known as burnt cream. It is easier to make. You can make it plain or add your favorite flavor. 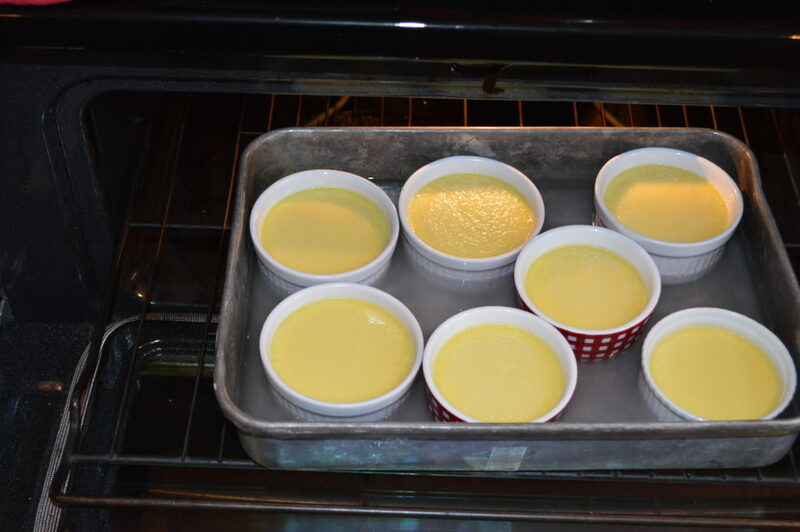 Preheat your oven up to about 150 degrees C.
Place two ramekins in the baking dish. The ramekins should be ovenproof. ​Put the cream in a pan that is heavy and cut the vanilla pod into two. Remove the seeds and place them together with the pod in the pan that has the cream. ​Boil the cream with vanilla over medium heat. ​In a heatproof bowl put the caster sugar and the egg yolks. Mix them well. ​Remove the vanilla pod when the cream starts to boil. ​Add the cream to the mixture of egg yolks and stir to mix well. Pour the mixture into the ramekins and some cold water in the baking dish. The water should reach up to 2/3 of the ramekins. ​Bake them until the custard is ready. This should take about 40 minutes. ​Let the mixture chill until cold. Sprinkle the demerara sugar on top and caramelize with a hot grill or blowtorch. If you use a hot grill to torch, ensure that you place them in the fridge for about 30 minutes before you serve. When ready serve and enjoy. When making this dessert at home, you need a ramekin that is shallow and wide. If you use a pot that is deeper, you will get an overcooked base with an undercooked center. This is because the pot is deeper and the food will take long to cook. 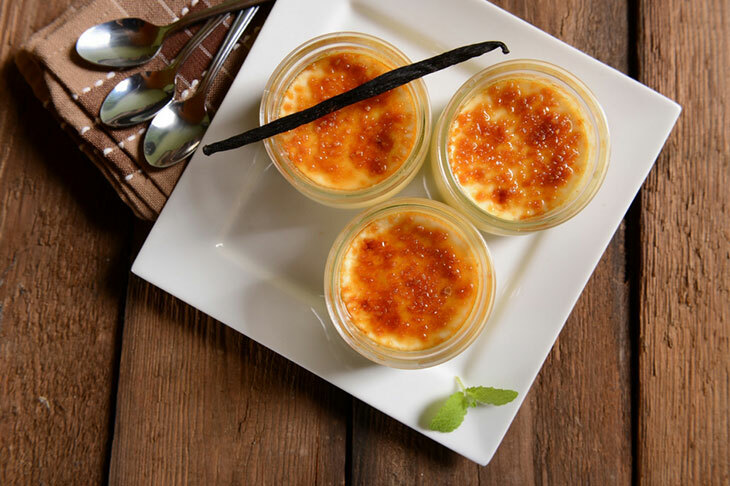 A shallow ramekin will ensure that the sugar is caramelized well with a crust. When making this at home, ensure that you use the egg yolks. The egg whites will make the texture firmer. The yolks will make this dessert to be tender and creamy. Keep the egg whites for another recipe. It can be baked in the hot water bath to have a texture that is silky and smooth. This will ensure that it is baked evenly but gently. But the water can be dangerous if it gets into the mixture. You will get a soggy interior and a pebbled surface. You can avoid this by wrapping the ramekin with an aluminum foil which can reach higher than the ramekin. This will ensure that there are no splashes entering into the ramekin. The granulated white sugar is suitable for torching. It is important to avoid the organic and raw coconut sugars. This is because the small granules will caramelize faster. The sugar cannot get burnt. You can easily see the white crystals as you torch. It is hard to tell when the raw sugar or organic sugar is ready. This is because they are already brown. 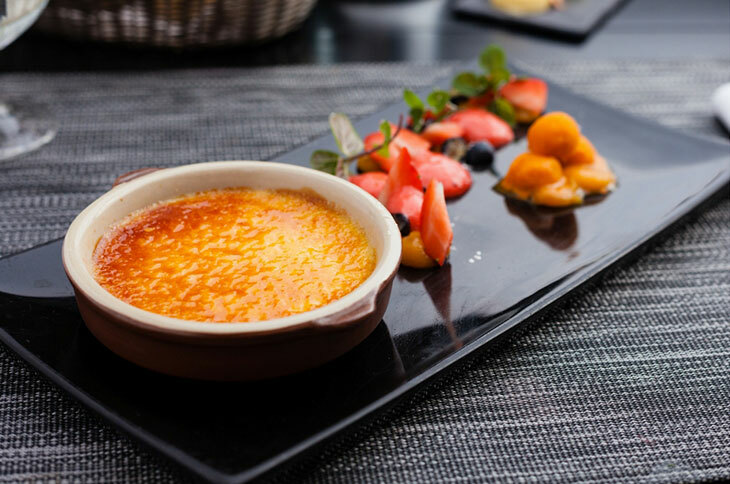 Broiling will ruin the crème brulee. This is because the mixture can burn easily. Buy a kitchen torch that can make your work easier. The taste depends on the ingredients used. The texture is similar to that of Greek yogurt. You can make it at home and enjoy. This dessert can be enjoyed by anyone. 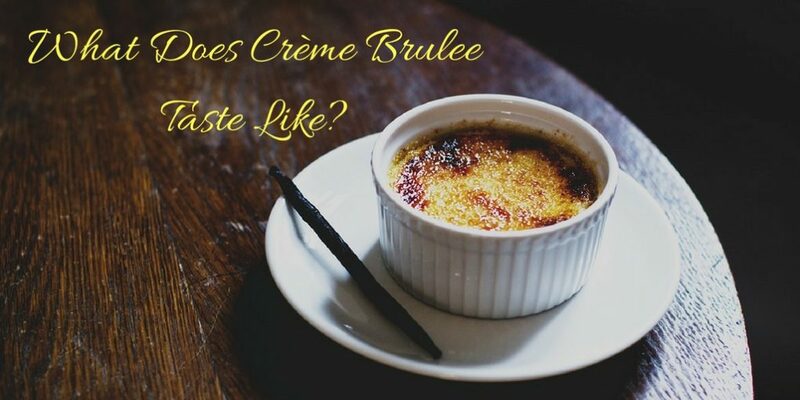 Do you know the taste﻿﻿﻿ of crème brulee? Feel free to share in the comments section what you know. Always use the right ramekin and sugar.